Left to right: David Smeeton, Kath Caris, Jock, Fyfe, Sheila Twine. 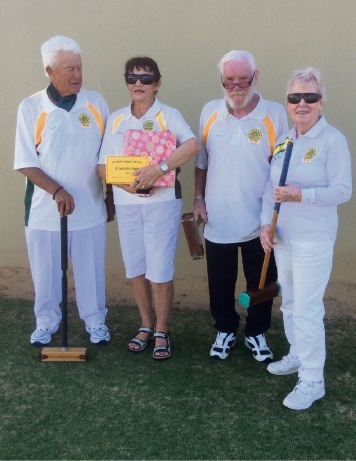 FOUR players from Halls Head Croquet Club took part in a three-day tournament in Bayswater for the Mt Lawley Cup over the weekend. Halls Head Croquet Club player Kath Caris won all six matches and a trophy that will be engraved and presented to her at the Croquetwest Presentation dinner. The club‘s Sheila Twine came third overall while David Smeeton and Jock Fyfe came fifth and sixth. 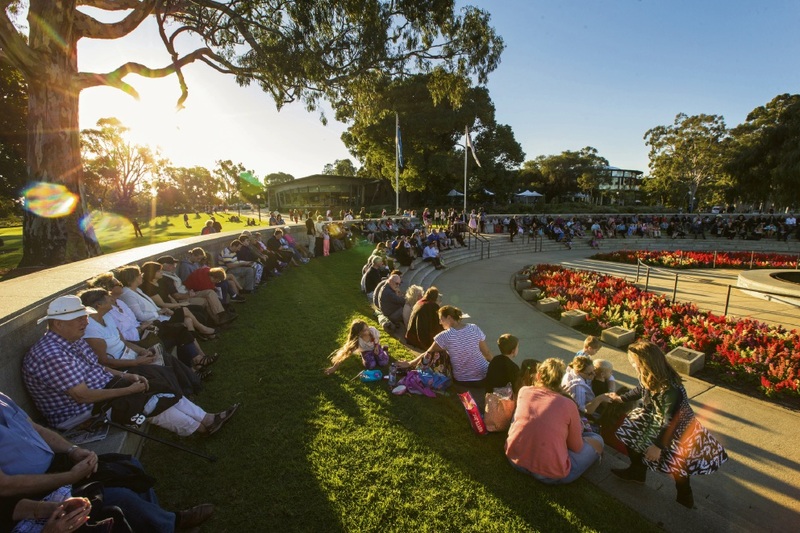 Contestants from Mandurah, Gosnells, Cambridge, Busselton, Forest Park, Bayswater and Como competed for the trophy from April 6-8.